Mr. Lasnetski has been practicing law in Jacksonville for more than 17 years. He focuses his practice on criminal defense, immigration, and personal injury. Mr. Lasnetski received his Bachelor of Arts degree with honors from the University of Florida in 1997. Mr. Lasnetski went on to obtain a law degree and an M.B.A. from the University of Florida in 2001. In law school at UF, he received the Book Award in Torts (Personal Injury), which is presented to the student with the highest grade in the class. After graduation, Mr. Lasnetski accepted a position as a prosecutor at the State Attorney's Office in Jacksonville. During the next 6 1/2 years, Mr. Lasnetski tried more than 50 criminal trials, including more than 40 felony trials. Those trials have included First Degree Murder, Armed Robbery, Trafficking, Domestic Battery, DUI and many other charges. 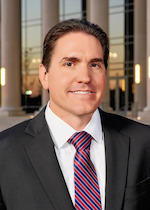 During his career at the State Attorney's Office, Mr. Lasnetski gained experience in the Misdemeanor unit, the Felony unit, the Gun unit, the Special Prosecution unit, and the Repeat Offender unit. He was promoted in 2007 to Division Chief of the Repeat Offender Unit. To date, Mr. Lasnetski has tried more than 70 criminal trials in both State and Federal court. Mr. Lasnetski is a Board Certified Criminal Trial attorney. The Florida Bar has certified Mr. Lasnetski as an expert in the area of criminal trial law. For more information on board certification, please visit the Florida Bar's website at www.floridabar.org/certification.